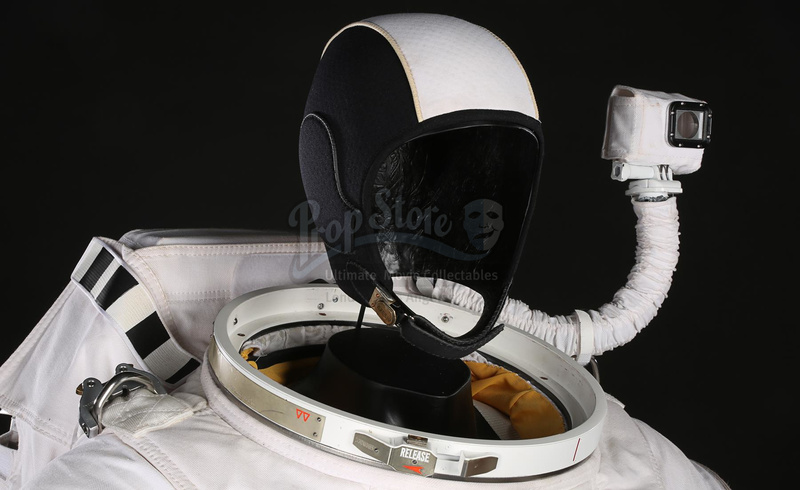 Mark Watney's (Matt Damon) EVA suit from Ridley Scott's sci-fi survival drama The Martian. 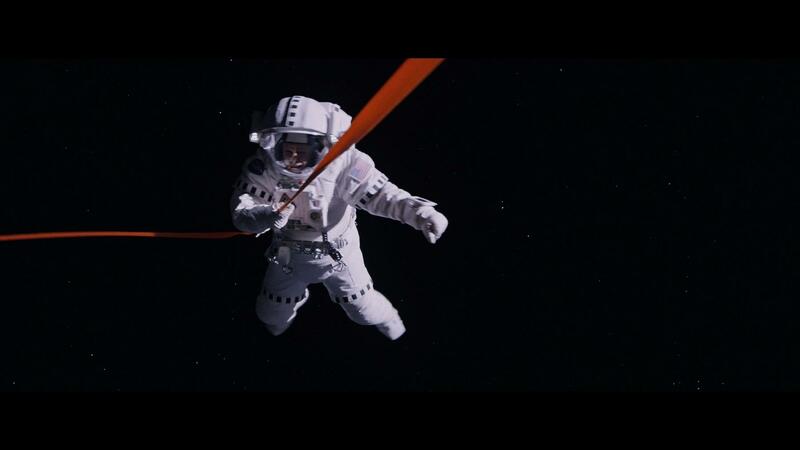 Watney wore his extravehicular activity (EVA) suit during the Hermes rescue sequences at the end of the film. 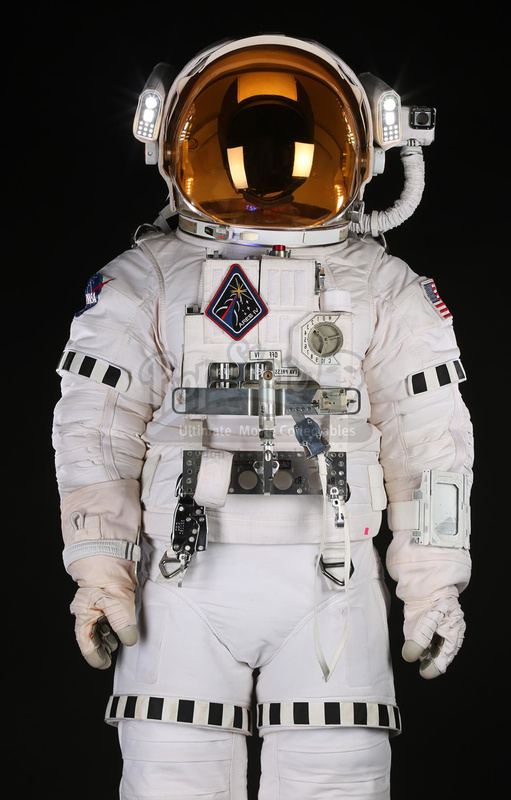 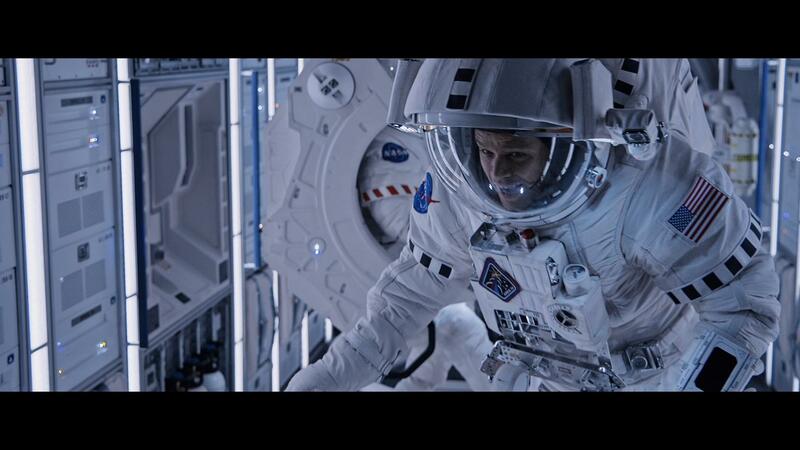 Costume designer Janty Yates worked extensively with NASA officials, researchers and engineers to ensure the film's space suits were as realistic as possible. 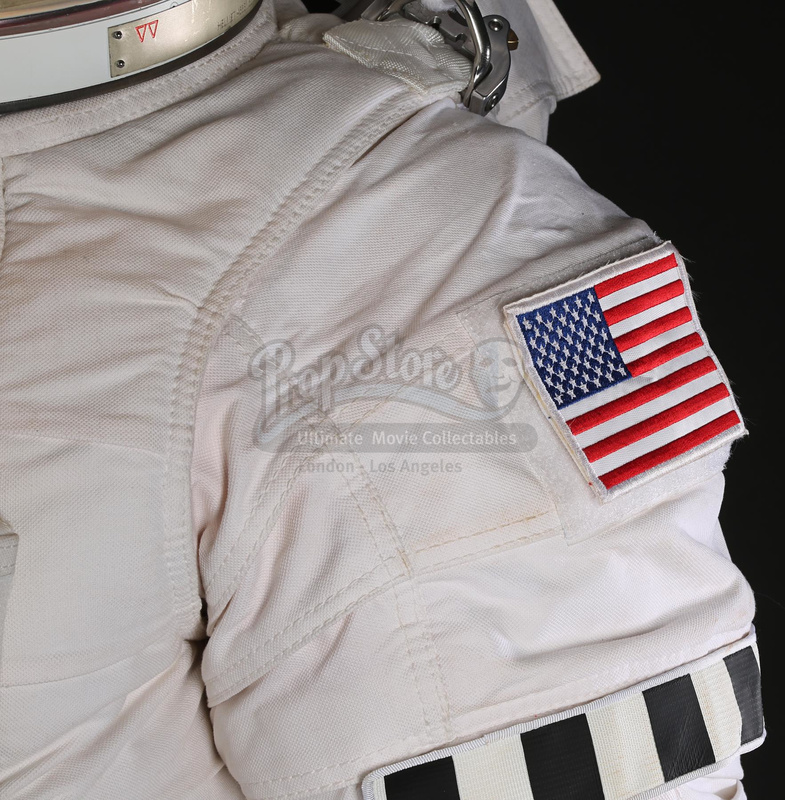 The EVA suit is modelled closely on a version worn by NASA astronauts on spacewalks outside the International Space Station. 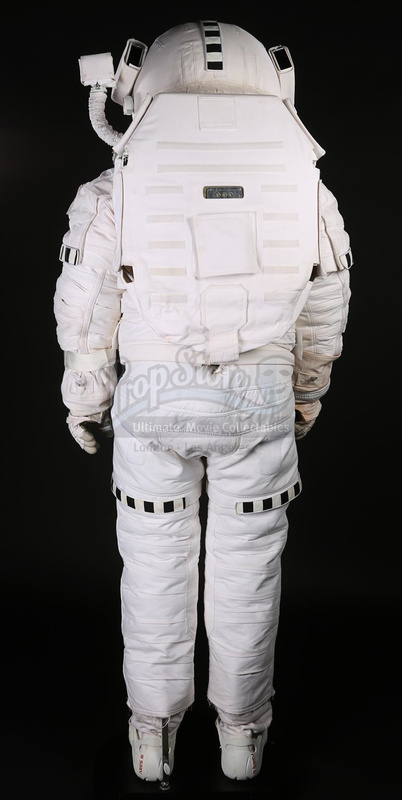 Made primarily from a white synthetic fabric, the costume consists of a helmet; a black-and-white skull cap; a torso (marked 'Male 2') with an adhered backpack and GoPro camera housing; a pair of trousers (marked 'Character Male 5'); a set of gloves (marked 'Slippy') with rubber fingertip and palm detailing; and a pair of boots (marked 'Crampons Large') accompanied by a large pair of rubber-sole crampons. 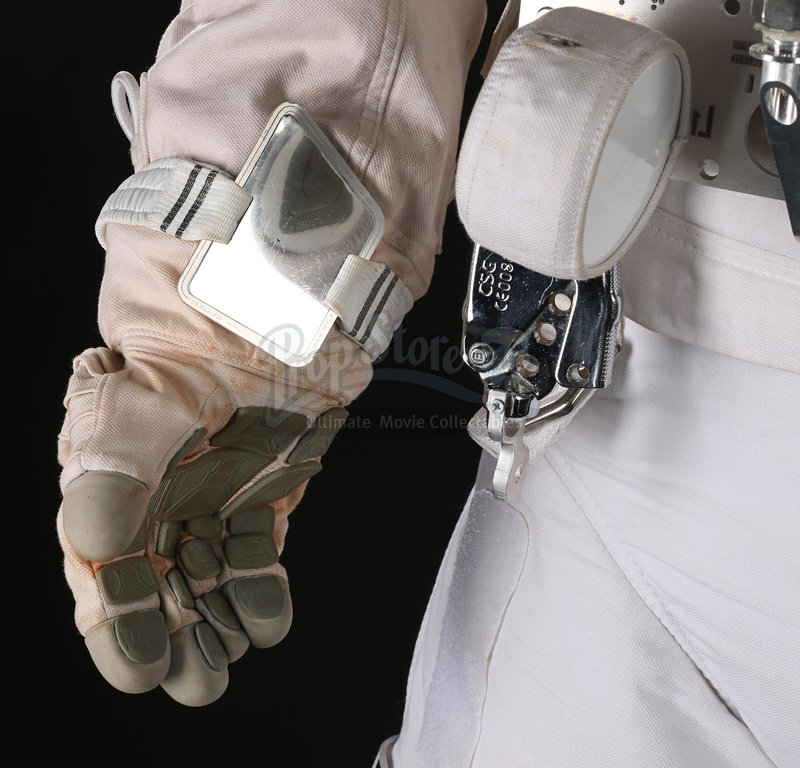 A wrist computer housing and mirror, fastened with white straps, completes the outfit. 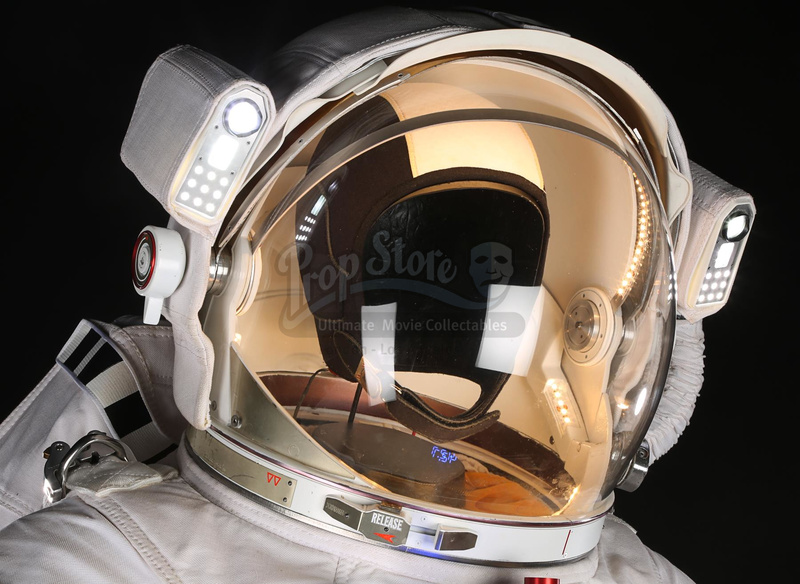 Constructed from white metal with a clear plastic front, the helmet features a functioning faux-gold sun visor and two lights on either side. 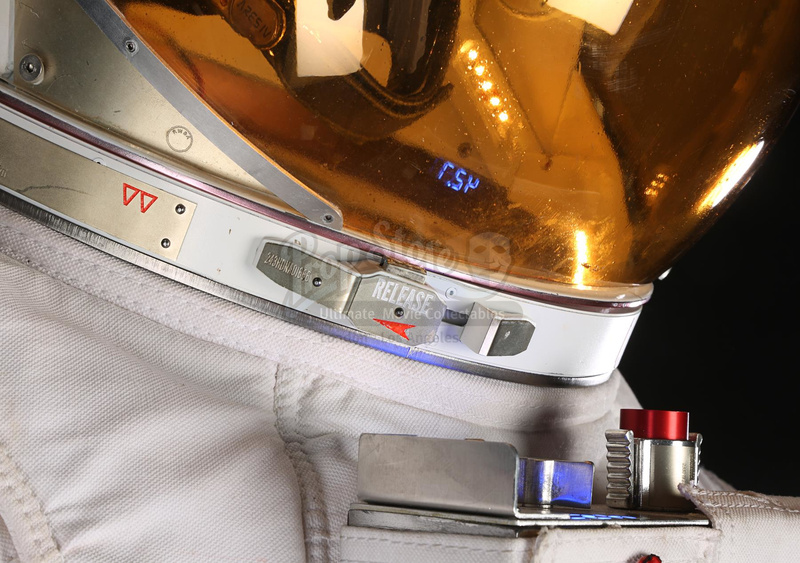 A rigging belt with holes for a harness connects the body to the trousers. 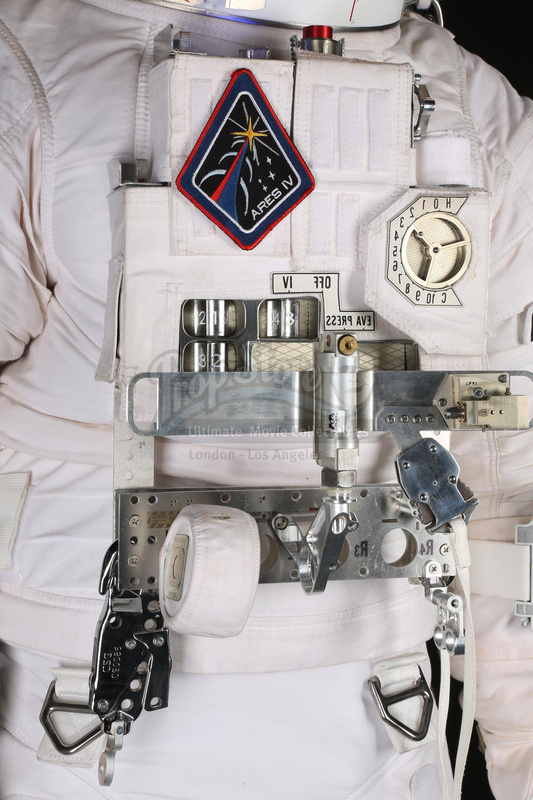 The torso features a chest pack with a metal rig attached to the bottom. 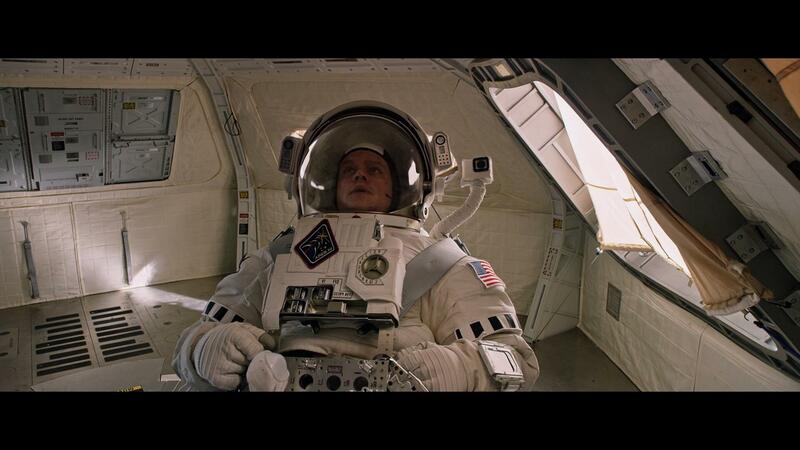 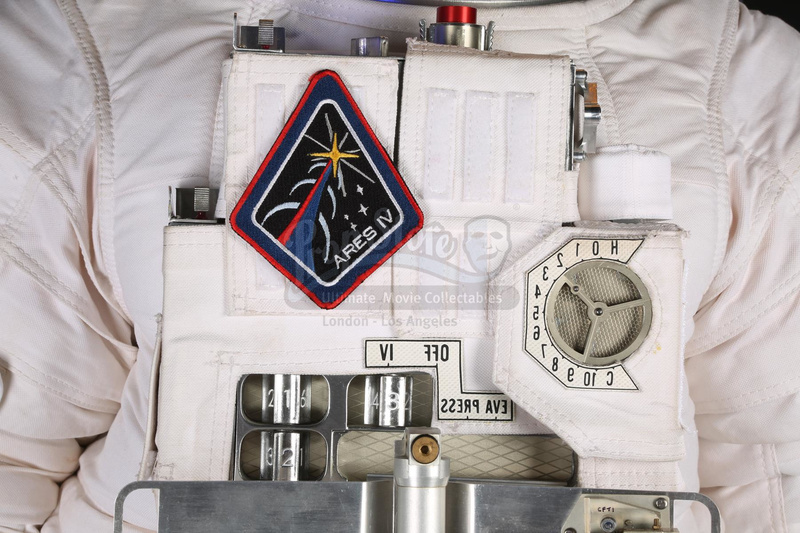 Velcro black and white Watney insignia strips and mission patches are attached across the EVA suit. 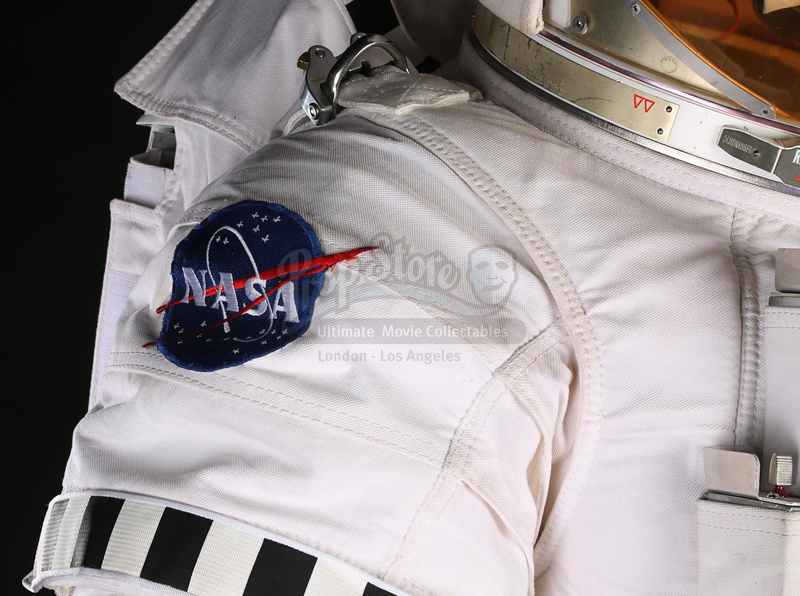 Original costume labels are located inside the garments, including labels reading 'Watney Stunt' in the skull cap and 'Male Standard Spin Rig' in the trousers. 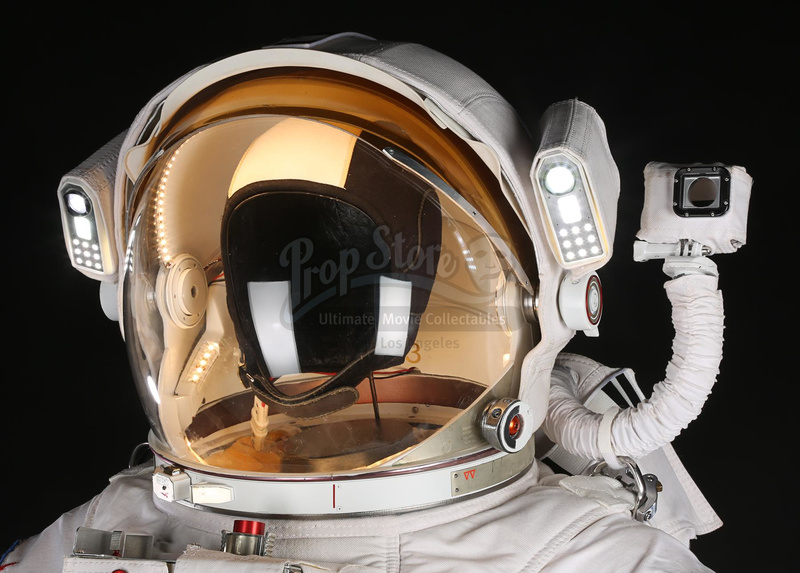 The suit features electronic components that allow the helmet and the chest pack to illuminate with LEDs. 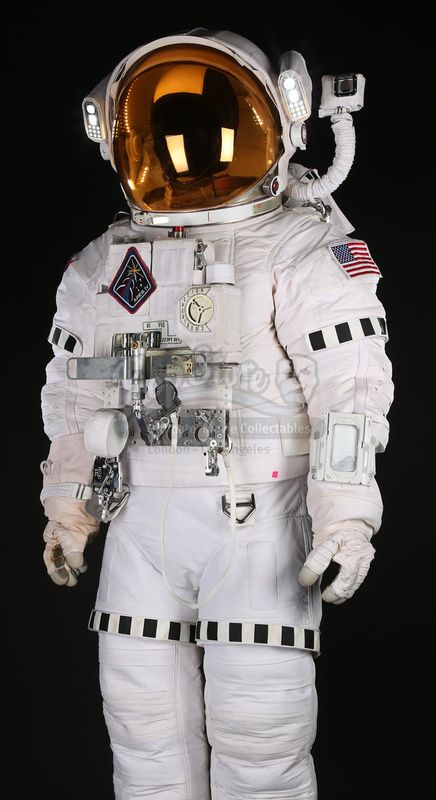 A 12V lithium polymer battery (not included) can be fitted into the backpack to power the lights, which are activated by an external remote control. 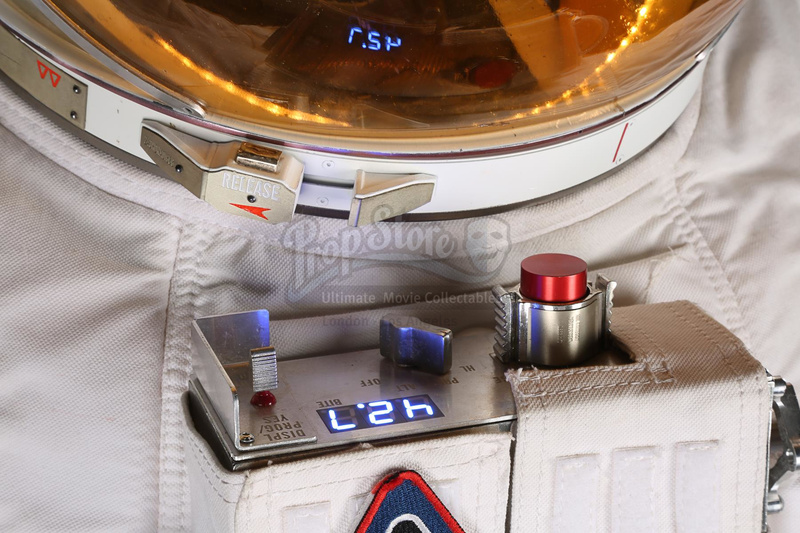 A 9V battery (not included) can be inserted into the chest to light up the digits on the front with blue LEDs.